AL AIN, 2nd March, 2018 (WAM) -- As part of the on-going of Al Ain Cultural Programme, the Al Ain National Museum and the Department of Culture and Tourism – Abu Dhabi have announced that the month of March will be dedicated to the exploration of historical artefacts found at Qattara. The programme, which will consist of educational workshops, will showcase discoveries from excavations at Qattara, specifically a pendant made of electrum, a mix of gold and silver, which was discovered in the 1970s. 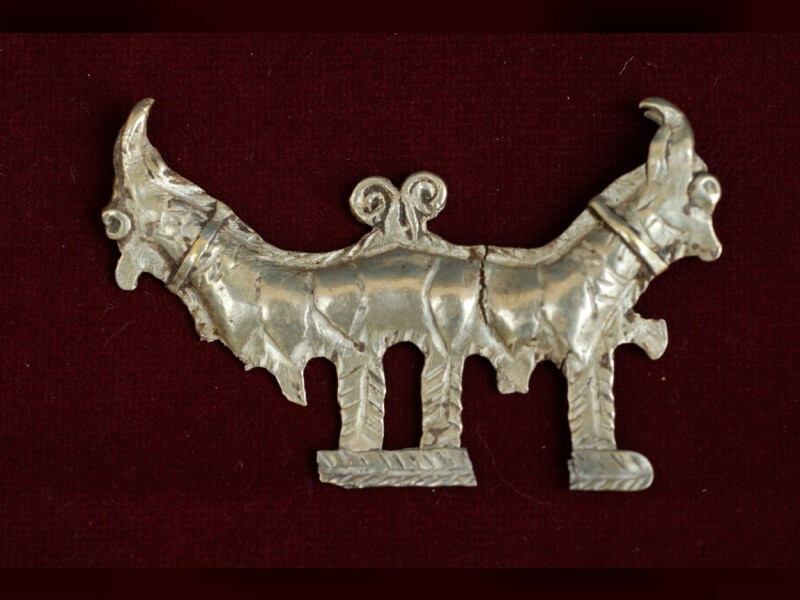 The pendant is now on display at the museum, and it is thought to have been a religious necklace based on the motif of two intertwined horned animals. It reflects the innovation and advances of technical and industrial development of the end of the Bronze Age, as well as the artistic qualities and the inclusion of animals as decorative elements during that period. Weighing 11 grams, the pendant was discovered by locals in the Qattara region.